We received a £15,000 grant from ABF The Soldiers’ Charity, which will enable us to help more army families initially from our South West team based in Chippenham. This grant will boost the help the South West Care Team are already giving army families. It will also enable the team to reach out to more army families who might be in need of Rainbow Trust’s support. 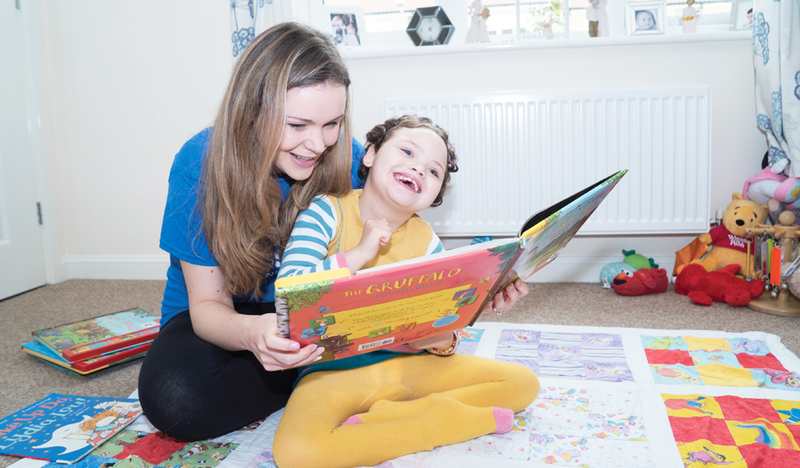 Our Family Support Workers enable families who have a child with a life threatening illness to make the most of their time together when it matters most, helping them at home, in hospital or in the community, wherever they are needed. Rainbow Trust Chief Executive Zillah Bingley welcomed the grant. “We are extremely grateful to have been successful in our application for this grant would like to thank ABF The Soldiers’ Charity,” she said. “We know there are more army families living with a seriously ill child who need our help and this money will help us reach them and raise awareness of our work among army communities where we are keen to build contacts. When serious illness affects a child, family life is turned upside down and time becomes more precious than ever. Rainbow Trust’s Family Support Workers help them face and make the most of each new day.